Brand name Paper Mate Pens - Get your logo imprinted on Flair Pens. Apps include trade show giveaway, marketing, promotional products. 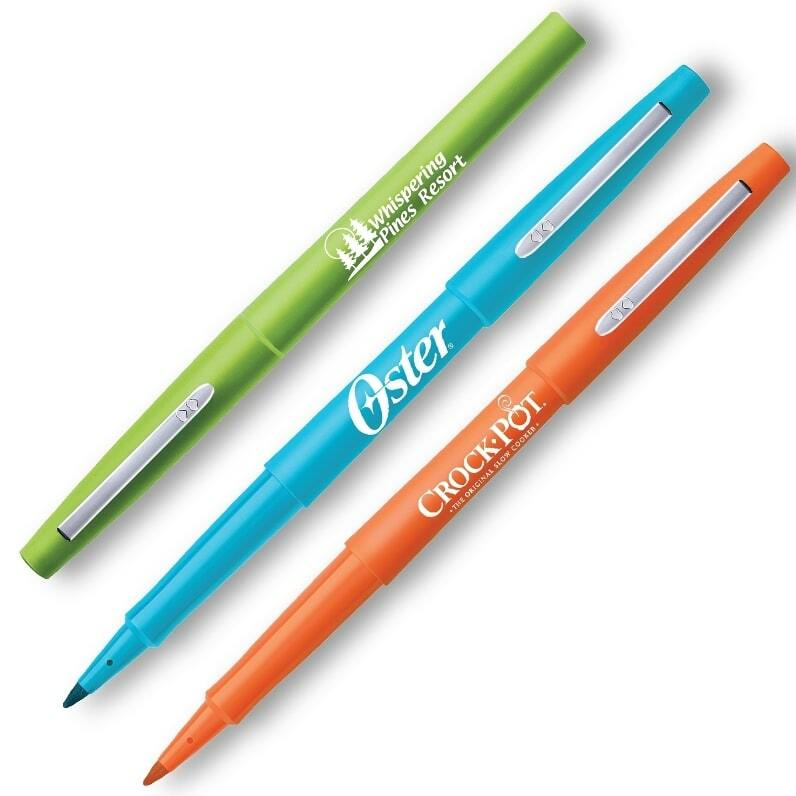 Imprinted with your logo, Nine Flair Pen and Ink Colors, metal clip. A unique pen customized for quality cheap promotional products. Felt tip marker pen with Point Guard. Matching Pen & Ink Color. Quick drying, no acid water based ink will not bleed thru paper. Bulk order Flair Felt Tip Pens. Delivery 7 to 10 business days. Price includes a one color imprint on barrel 1 3/8" w x 3/4" h.
NO FACTORY SET UP CHARGE. One color print only.